It keeps getting hotter and hotter as I go farther south and we get more into the summer. 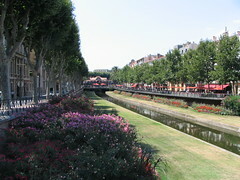 I spent the morning in Perpignan and then headed south. The route was really beautiful. I felt like France was giving one last go at trying to make you stay in the country and not leave for Spain. 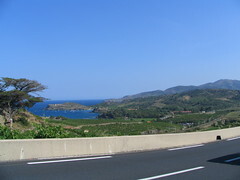 I had thought I would make it to Spain, but it was just too hot and by the time I got to Banyuls sur Mer, which is the second to last city in France, I decided not to push myself and just stay there for the night. 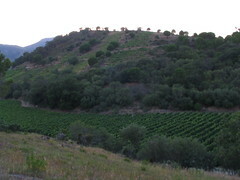 The campground overlooked the vineyards of Banyuls. Are you staying at real campsites or just off the side of streets? Just curious cause they look so beautiful!